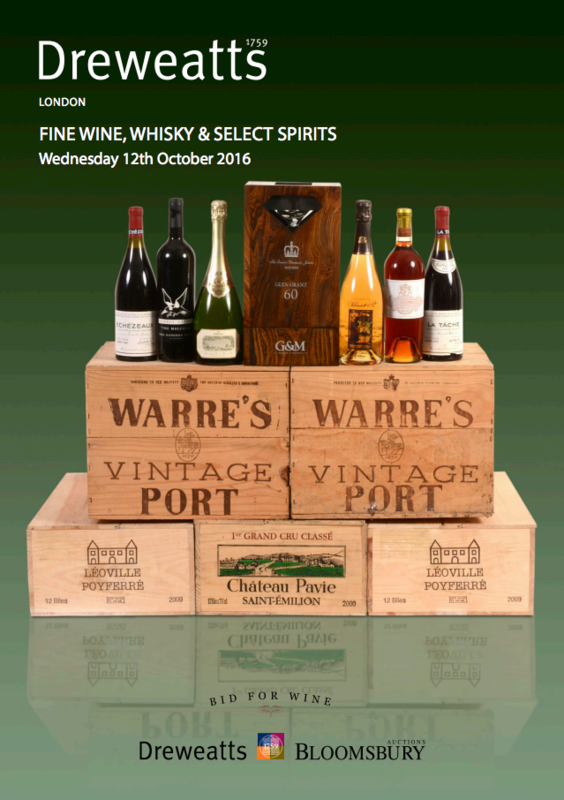 An exceptional range of fine wines, whiskies and select spirits will be on offer from 10am on 12th October 2016 at Dreweatts & Bloomsbury Auctions’ London base, Bloomsbury House. Of particular note is lot 105, a very rare bottle of Glen Grant from 1952, commemorating the Queen’s Diamond Jubilee. 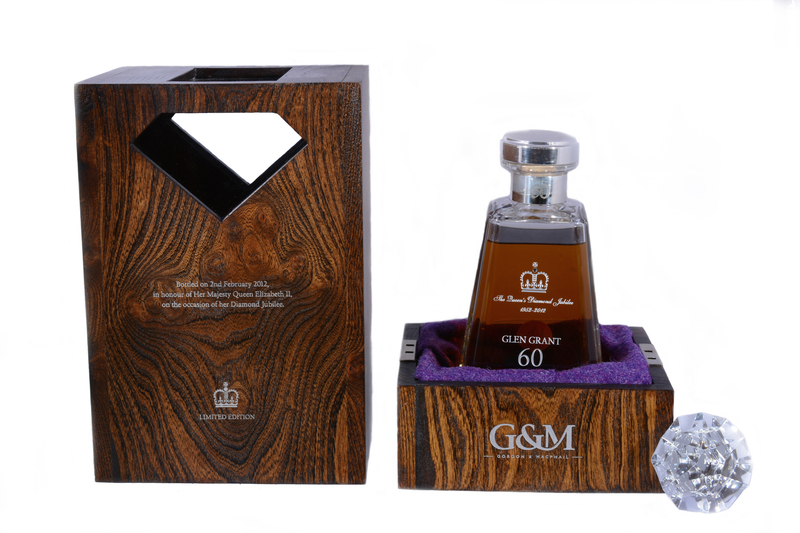 Contained within a Glencairn decanter and stoppered with a Swarovski crystal this utterly exceptional single malt whisky is housed within a box made from a Scottish Elm, felled at Holyrood House, and nestled in its own Harris Tweed bag. It carries an estimate of £8,000-£9,000. Here is a nice big photo of the good stuff. Alongside this exceptional lot are two bottles of iconic A.H. Hirsch 16 year old Reserve Whiskey (Lot 18 & 19, est. £900 £1,100). Distilled in 1974, and no longer produced, the popularity and quality was such that it evolved in a ‘viral’ fashion to its current status as a Bourbon icon.